Help Wanted! Who are these people? 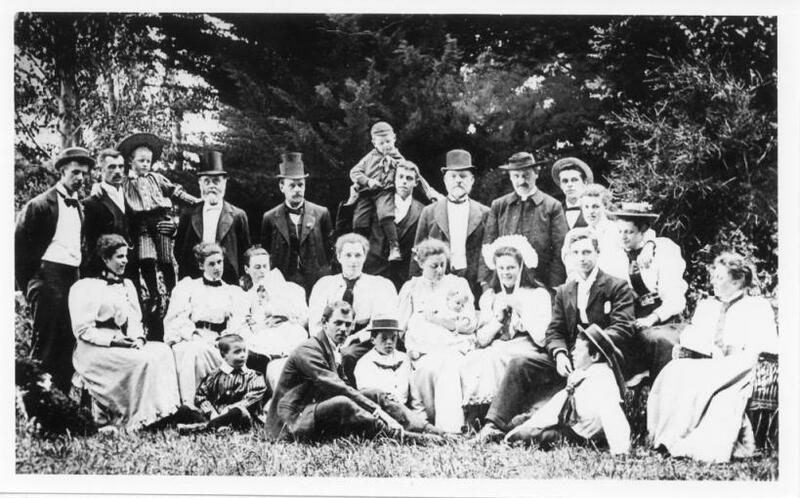 Possibly only direct family members will be able to help here, but anybody can throw a comment in - the following group photo is believed to be the Macdonald family, probably in the gardens of their home at 'Enwood', Invercargill, and possibly was taken at Christmas 1895. If you mouse over the faces it will show those people we think we have identified (not many) or provide you with a reference number to use in suggesting further identities. To respond, see the contact info in the page footer below. Keep the ideas rolling in - please! The next photo was probably taken in New Zealand in the 1860 to 1880 period - but beyond that we're a bit stumped. It has been suggested this is either Thomas Spencer FORSAITH and his wife, or Alexander MACDONALD and his wife - but the facial resemblance just isn't there to match either couple. Unless you can prove me wrong?